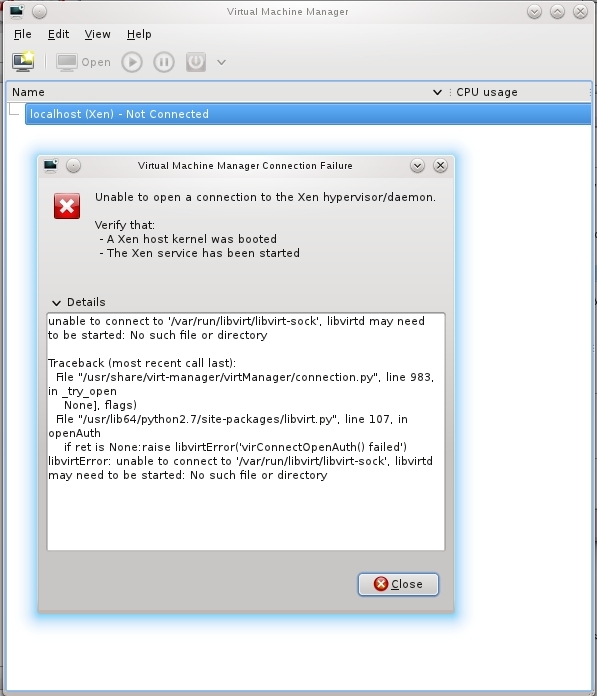 My problem is virtual machine manager xen connection and not network connection (even so, I have done what you listed above for no solution). I must add that I'm using yast from open-suse to turn services on. An screenshot from that problem is attached. Under that screen the xen kernel is alread running. libvirtError: unable to connect to 'localhost:8000': Connection refused"
I do not remember having that problem before and the first time I booted the machine I was able to connect and start the new machine creation. Anyone can give-me a hint please?